Highly flammable. Risk of explosion if heated under confinement.Light sensitive. Dust may cause mechanical irritation. May cause lacrimation (tearing), blurred vision, and photophobia. May cause chemical conjunctivitis and corneal damage. May cause skin irritation and possible burns. May cause irritation of the digestive tract. May cause nausea, vomiting, abdominal pain, and increased salivation. Inhalation of dust may cause respiratory tract irritation. Olfactory fatigue may occur. Can produce delayed pulmonary edema. As in any fire, wear a self-contained breathing apparatus in pressure-demand, MSHA/NIOSH (approved or equivalent), and full protective gear. During a fire, irritating and highly toxic gases may be generated by thermal decomposition or combustion. Dust can be an explosion hazard when exposed to heat or flame. Flammable solid. May burn rapidly with flare burning effect. May re-ignite after fire is extinguished. Containers may explode when heated. Risk of explosion if heated under confinement. Use water spray to cool fire-exposed containers. For large fires, use water spray, fog or regular foam. Contact professional fire-fighters immediately. For small fires, use dry chemical, carbon dioxide, sand, earth, water spray or regular foam. Cool containers with flooding quantities of water until well after fire is out. Sweep up or absorb material, then place into a suitable clean, dry, closed container for disposal. Scoop up with a nonsparking tool, then place into a suitable container for disposal. Avoid generating dusty conditions. Remove all sources of ignition. Provide ventilation. Wash thoroughly after handling. Minimize dust generation and accumulation. Avoid contact with eyes, skin, and clothing. Empty containers retain product residue, (liquid and/or vapor), and can be dangerous. Keep container tightly closed. Keep away from heat, sparks and flame. Avoid ingestion and inhalation. Do not pressurize, cut, weld, braze, solder, drill, grind, or expose empty containers to heat, sparks or open flames. Exposure Limits CAS# 2592-95-2: Personal Protective Equipment Eyes: Wear appropriate protective eyeglasses or chemical safety goggles as described by OSHA's eye and face protection regulations in 29 CFR 1910.133 or European Standard EN166. Stable. Heating above 180C results in rapid exothermic decomposition. Heating may cause an explosion. 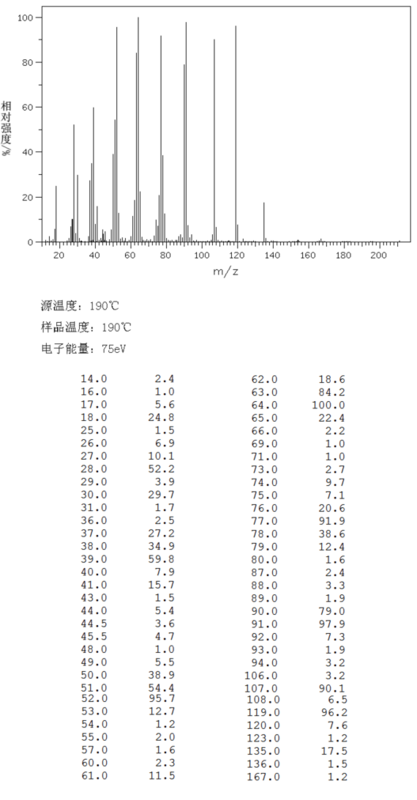 Incompatible materials, ignition sources, dust generation, excess heat, strong oxidants, heating above the melting point (155-158C). Strong oxidizing agents, copper nitrate. Nitrogen oxides, carbon monoxide, irritating and toxic fumes and gases, carbon dioxide, nitrogen. 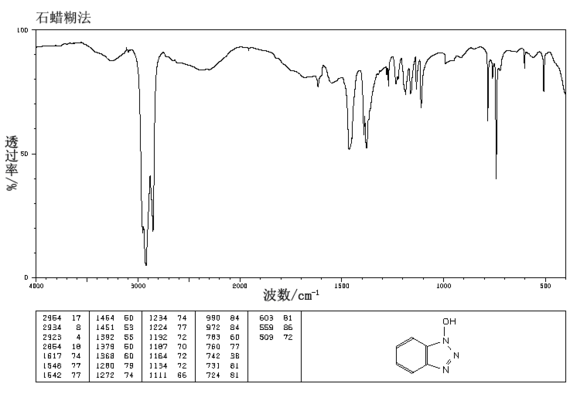 CAS# 2592-95-2: Draize test, rabbit, eye: 100 mg Mild. 1-Hydroxybenzotriazole - Not listed by ACGIH, IARC, or NTP. Shipping Name: FLAMMABLE SOLID, ORGANIC, N.O.S. CAS# 2592-95-2: No information available. CAS# 2592-95-2 is listed on Canada's DSL List. CAS# 2592-95-2 is not listed on Canada's Ingredient Disclosure List. 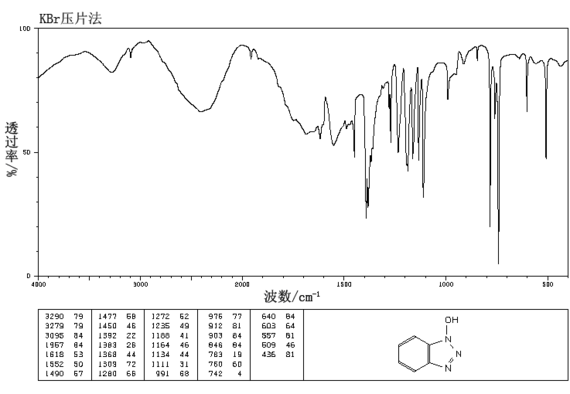 CAS# 2592-95-2 is listed on the TSCA inventory.